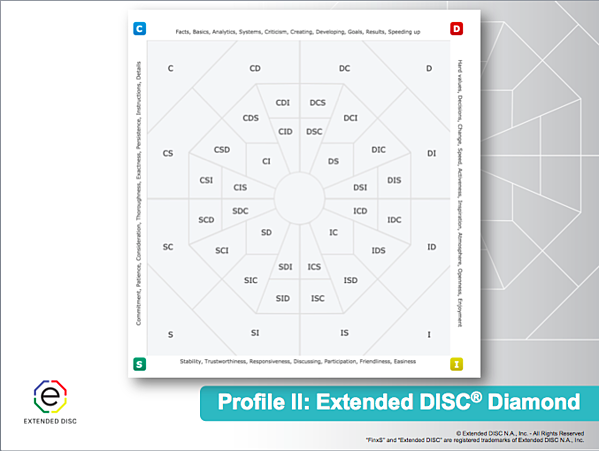 People's DISC styles can often be oversimplified by identifying them only by their primary DISC-style. There are different levels of interpretations. 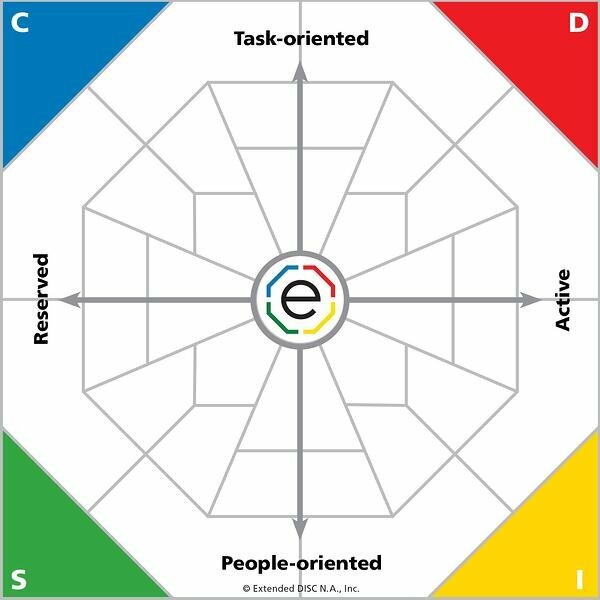 For example, we can focus in on their dominant styles, (e.g., DI or CSD), or the DISC styles which are not natural. Let's focus in on people who have 3 natural styles. In the example above, the middle line divides the top half from the bottom half. 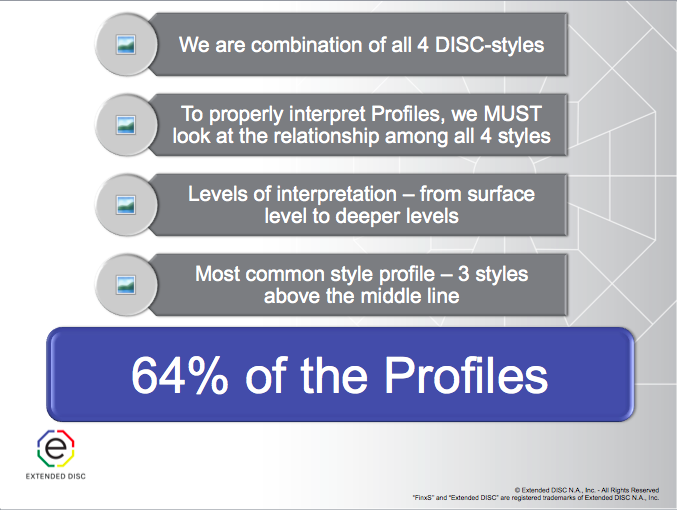 Your profile will intersect at all 4 DISC axes, but where you intersect above the middle line identifies your natural styles. This person's profile intersects at the I, S, and C axes which identifies their natural styles as an ISC. The style which is not natural, or takes a lot of energy to exhibit, is the D-style. It doesn't mean this person can't be a D-style when they need to, but it requires effort and energy. 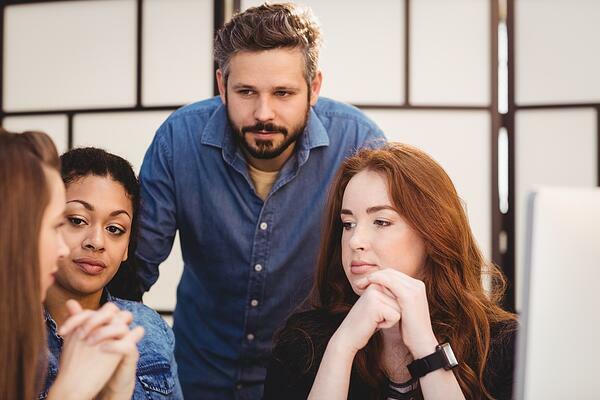 Let's just say you have an employee or a prospect that you know has 3 styles above the line. Their dominant style is the style that is most comfortable to them, but often times they have additional styles that impact their behaviors and they are also comfortable with. 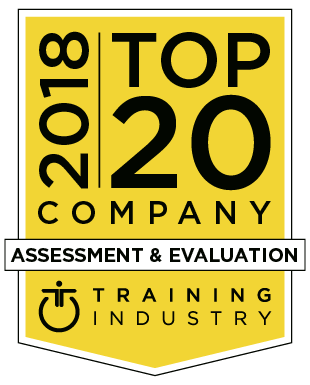 You may find it challenging to figure out how to adjust to their behavioral preferences. What do you do? You can look to the one style that they are not comfortable with. 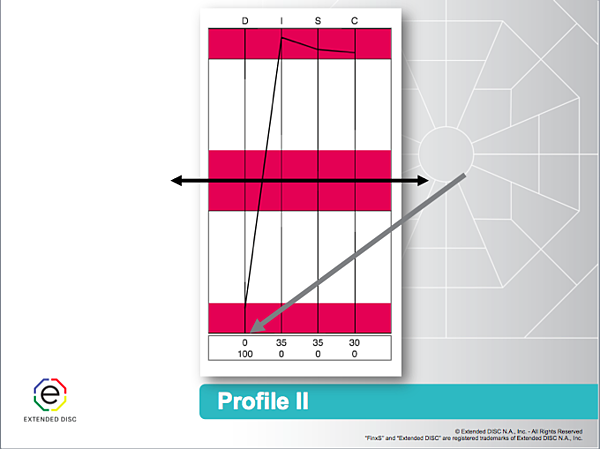 If you look at the profile sample above, identifying D-style as the person's least comfortable style, then you can focus on avoiding the D-style behaviors. You will likely find it simpler than trying to adjust to the 3 styles that are comfortable for the person.